In his ninth NFL season, tight end Martellus Bennett is heading to the Super Bowl. It’s been a long time coming for Bennett, and other veterans like Chris Long, who had never even made the playoffs. 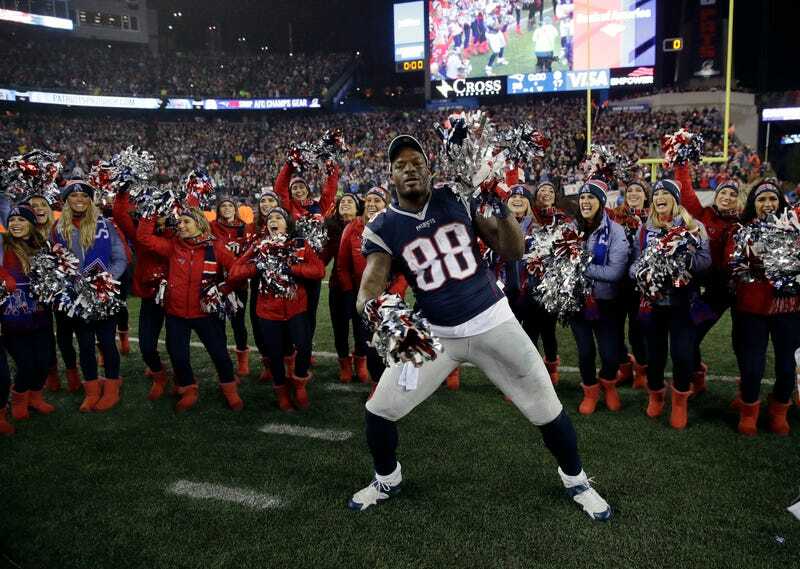 And Bennett was rapturous after the win, grabbing a pair of pom-poms and dancing to some Whitney with the Patriots cheerleaders.